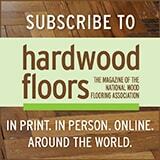 Hardwood Floors magazine is proud to recognize 40 industry professionals under the age of 40 who are helping to determine the future of the wood flooring industry. These individuals are today’s movers and shakers who are already setting the pace for tomorrow. We are excited to shine the spotlight on these outstanding 40 men and women whose career accomplishments have moved them to the forefront. Their professional track records have helped to establish them as some of today’s brightest stars — before their 40th birthday. Scroll down to meet them. Marcus is an NWFA Certified Professional and Bona Certified Craftsman. His recent and ongoing projects in the high-end restaurant industry have trended in the ‘Top 10’ in the nation for their respective markets by pushing the limits of design and function. He has been part of the flooring industry for the last 15 years, studying the skills of the tradesmen that have mentored him and seeking out further education relevant to developing replicable skills. He pursues notable projects taking his company to remote locations around the world. One of his recent international projects was the spa at the One & Only Palmilla, in Los Cabos. In November 2016, he participated in an advanced training school with the Bona Technical Staff and NWFA Regional Instructors. Marcus is actively involved in charity opportunities such as Keller Williams Red Day Events, Ronald McDonald House Charities, and serves on the San Diego Floor Covering Association Board. Amberle joined the family business in 2013 helping with sales and marketing. In the last 12 months, she has increased her personal sales by 50 percent. In 2017, she attended her very first NWFA Wood Flooring Expo and is making a concentrated effort to dive in and get the most education and experience possible to improve the business. 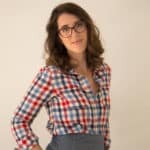 She has increased the company’s social media exposure by going to job sites, taking pictures, creating an Instagram account, and actively engaging people on Facebook. Amberle is a member of the Greater Des Moines Home Builders Association and the Des Moines Remodeler’s Counsel. In her free time, Amberle works with Habitat for Humanity and Meals for the Heartland. Cleveland Hardwood Restoration was started six years ago with the intention to bring quality craftsmanship and customer service to the Cleveland community. Frustrated with the “laboring” culture of punching a time-clock to achieve quantity over quality, CHR’s main foundational principle remains rooted in the “slow” culture of personalized work. Much like “slow food” and “slow fashion,” the team values the community, empowers their employees, remains dedicated to the environment in their product offerings, and supports vibrant, socially conscious companies with its purchases. 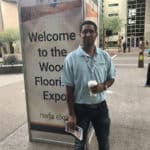 Jessie is active in NWFA and recently presented a social media seminar at the NWFA Wood Flooring Expo in Phoenix. Jessie is living proof that you can do anything you set your mind to and is a mother of three boys and an avid yogi. Clinton started in the industry at the age of eight, helping his father after school and during school holidays. He began working full-time as a third generation floor sander in the year 2000 at age 18. After his dad retired, he became the co-owner of Borthwick Floors along with his brother in 2006. In 2008, he bought an engineering business, Canterbury, which manufactures floor buffer machines. In 2014, Clinton won the Australian Timber Floor Association Commercial Floor of the Year award and 2014 MAPEI Wood Floor of the Year. Throughout his career, he has worked on jobs in some of Melbourne’s most prestigious buildings. 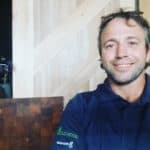 Clinton is a member and writer for Australian Timber Flooring Association (ATFA) and a member of Wood Flooring Association of Vic (WFA). 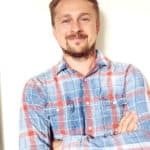 He is also involved with the Australian Men’s Shed Association, The Susie Harris Memorial Fund for Motor Neurone Disease, and Diabetes Australia. Matt started Palermo Flooring in 2004. The business is family-owned and operated, and provides services related to all aspects of wood floors. Some of Palermo Flooring’s specialties are installation and repairs, sanding and refinishing, custom stain, finishes, deck refinishing, borders and inlays, and all different kinds of trim work. 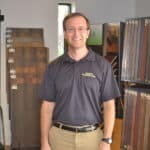 Since the establishment of Palermo Flooring, Matt has grown his business to include 18 full-time employees. The team works all across New York City and Long Island, spending time educating and promoting high-quality hardwood flooring. Palermo Flooring also donates time to and supports the National Guard and Reserve. Throughout his 12-year career with Bona, Matt has held multiple roles within customer service, technical support, training, and sales. During that time, he has trained more than 200 contractors on the sand and finish process, Bona’s product line, and business acumen through Sand & Finish Schools and on-site training. He was the recipient of Bona’s 2007 “GOLD” award (Growth, Optimism, Leadership, Dedication). 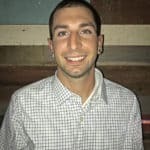 Matt is an NWFA Certified Professional for Installation and Sand & Finish, and also sits on the NWFACP Installation, Sand & Finish Certification Committee. He is also a member of the NWFA Emerging Leaders Network serving on the NWFA Emerging Leaders Council. He is an annual participant in St. Jude’s Warrior Dash, a member of the Bona Mission Fund, and is active in numerous causes including the Christmas Toy Drive, St. Jude’s Children Hospital, CASA (Court Appointed Special Advocates), and the YMCA. 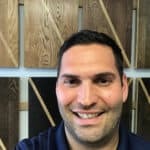 Ralph has been in the flooring industry for more than 18 years working as an account executive for major hardwood distribution companies across Canada. In 2010, he took over First Class Flooring from his father. He has taken the company from $500,000 to $15 million in a seven-year time span. At the 2017 NWFA Wood Flooring Expo in Phoenix, his company supplied Graf Brothers Flooring with the material that won a Wood Floor of the Year award. First Class Flooring was also recognized as Retailer of the Year in 2016 by Mercier Wood Flooring. Ralph is actively involved with Habitat for Humanity and Trinity Baptist Church. Mike stepped into the machinery world with a focus on flat line factory finishing for craft and boutique flooring manufacturers. During the last several years, Mike has identified a need in the creative market of custom flooring and has developed small- to medium-size pre-finishing systems and accessories that meet the needs and price point of these custom manufacturers. Stanza Machinery offers the expertise, support, and quality products that customers expect. Mike has been involved with the Charlotte, North Carolina chapter of the Second Harvest Food Bank, sorting foods and wellness items. He also participates in the Breast Cancer Awareness Walk. John has brought a fresh approach to the distribution paradigm. He has opened Installers Warehouse to new channels and approaches to distribution of wood flooring. John’s passion is to elevate the importance of wood flooring in the selection process and get wood flooring closer to the front of the process versus positioned as a late addition to the project. John is also working on ways to help consumers understand the value of wood flooring and is one of the primary drivers behind the launch of Revel Woods, a completely new approach to the selling of wood floors specifically designed to disrupt old selling channels in our industry. Before Installers Warehouse, John served as national floor sanding specialist for Norton Abrasives. John was an active participant in the Hardwood Federation’s Fly-in last year. He has played various instruments in his church worship band and volunteers to provide drums and percussion for his local school’s fall and spring musicals. At the young age of 12, Allie was already an entrepreneur, fulfilling internet requests for samples on the Anderson website. By 24, she was living in Manhattan as the northeastern regional sales manager for Anderson, posting a 40 percent increase in sales for her territory. In 2007, she moved to Chattanooga and assumed responsibility for Shaw Commercial hardwood sales in addition to other hard surface products. 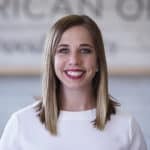 In 2015, she joined her father at American OEM Wood Floors as Executive Vice President where she leads the sales force, marketing, and new product development. 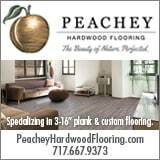 She has recently conceived, developed, and introduced American OEM’s own brand of high-end wood floors, Hearthwood. Allie is a LEED AP and involved in sustainability initiatives. She is a Big Sister of a young woman in Chattanooga and is also involved in the Gary Sinise Foundation R.I.S.E. (Restoring Independence Supporting Empowerment) program. She also participates in the Hardwood Federation Fly-ins, lobbying Congress on behalf of the hardwood industry. Bill is the Foreman for Baker Hardwood Flooring located in Barnegat, New Jersey. The company provides a variety of hardwood flooring services including installations, repairs, conventional sanding, dust containment sanding, and floor refinishing work. Bill is an NWFA Certified Installer, possesses an NWFA Craftsman degree, and currently serves on multiple NWFA committees. 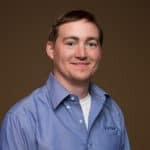 He is strongly committed to the industry and frequently serves as a volunteer instructor assistant, as well as assists in demo theaters and tech zones at the yearly NWFA Wood Flooring Expo. Bill also participates in many community service projects for wounded soldiers with the NWFA, and serves as a board of elections worker in his community. Jake grew up working at the Hickman Lumber sawmill during the summers, starting at the bottom by stacking boards. After college, he spent a few years working in construction and traveling the country. He came back full-time to Hickman Lumber in 2008, went to lumber grading school, and committed himself to becoming the fourth generation of the Hickman family running the sawmill. He’s at the mill every day making sure the lumber is cut and dried correctly to make the high-quality material for which Hickman Lumber is known. This lumber is then used at Allegheny Mountain Hardwood Flooring and is shipped all across the world. Jake is a member of the local Chamber of Commerce and volunteers to organize the local summer festival in town. 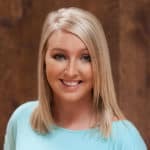 Jessica returned to the family business in 2012 to help with the sales and marketing at Allegheny Mountain Hardwood Flooring. Her first year, she spent time in the woods with the foresters, at the sawmill, and in the flooring plant, to gain a solid understanding of the whole process from the forest to the floor. 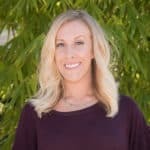 She updated the company website, wrote blogs, and advanced social media with the intention of educating the consumers so they can understand the importance of purchasing a quality product. Jessica has been working with the Pittsburgh Green Building Alliance on an educational event that demonstrates how lumber is harvested, cut, and dried, followed by a tour of the flooring plant. She is currently the president of Pittsburgh East Rotary Club, which provides and cooks food at a shelter once a month as well as raises money for local and international causes. She’s also the inbound co-chair for the Rotary Youth Exchange and helps with international students studying in Pittsburgh. Starting in the Bona Account Services department, Matt learned the professional side of the business by working closely with distributor partners, managing large accounts, then moved quickly into the Tech and Training department. 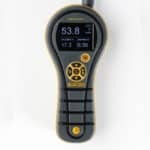 There he used his confidence to instruct contractors in the field, in schools, and on job sites, as an expert on using Bona’s products and marketing them in the field. 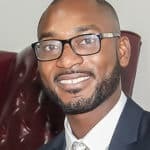 His ability to lead a team was quickly recognized, and he was promoted to develop one of the largest potential areas of growth for Bona’s business as the Certified Craftsman Program Manager. After his success with the growth of that program, he was challenged in several new roles at Bona to develop other product categories as the Sales and Market Manager for abrasives, machines, and finishes. Now Matt is using this extensive background as the Regional Sales Manager, managing the Bona professional sales business for the western half of North America. 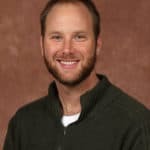 Matt has worked with Big Brothers Big Sisters for six years as a mentor to underprivileged children, and is actively involved in Bona’s current community outreach for St. Jude’s Children’s Hospital. 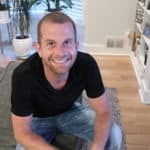 Lee started installing hardwood and laminate flooring, and sanding and finishing hardwood floors with the family business before he was even a teenager. He very quickly stood out as the most responsible and hardworking member of the crew. Eventually, the company transitioned away from local installation into a national wholesaler of hardwood flooring. He is now part-owner and general manager involved in running the day-to-day operations. 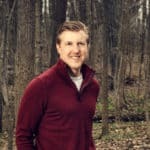 Lee’s most notable work is helping develop and streamline nationwide e-commerce sales of hardwood flooring through their website, hursthardwoods.com, and other streams of revenue. Lee is a very devoted husband and father to his five children. He is very active in his local church, teaching children’s classes, and helping in several other areas of service. He also assists with coaching his son’s baseball team. Allan bought A-Max Hardwood a few years ago. He comes from outside of the industry and has done everything in his power to be extremely knowledgeable about our industry. He is a fan of dust containment, UV coatings, water-based finishes and wants to have an overall knowledge of the industry. Allan’s goal for A-Max Hardwood has always been to make his customers happy with the best products and customer service on the market. He is the front runner of UV coatings and the only person in Boise certified in UV finish. Being a big supporter of UV, he has had the opportunity to do demonstrations on UV machines and UV Finishes including one at the main BYU campus in Provo. He is also a member of the Under 30 MFMA and attended the following schools: NWFA, Lägler, Aboritec UV, and Advantage Coating Tech. A-Max Hardwood has donated and contributed their knowledge and resources to the following: Veterans of Boise, Idaho Youth Athletics, and Boise Meals on Wheels. Toby is a Contractor Specialist with DuraSeal, with 21 years of industry experience. Prior to joining DuraSeal, he owned his own business, Walk On Wood located in McHenry Illinois, for 18+ years. He has earned the NWFA Craftsman degree and is an NWFACP Certified Installer, and Sand & Finisher. He is a three-time Wood Floor of the Year Award entrant, and in 2015 received an NWFA Community Service Award. 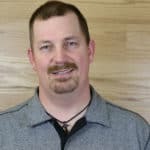 Toby is a former NWFA Regional Instructor and is dedicated to education in the industry; he volunteers his time as a regular presenter at the NWFA Wood Flooring Expo. He has also done charity work at a historical school house and donated tool usage at a wounded veteran house build. Non-Profit which focuses on bringing art classes back to the schools of Detroit. Being a responsible business owner, Joe also mentors his employees on how to get out of debt, budget, and save money for retirement. Robert grew up with construction and an entrepreneurial spirit flowing through his veins. After graduating from high school, he was installing floors determined to start his own company. He soon realized that he wasn’t just in the flooring industry; he was in the service industry. From the day Robert opened his doors, he has been driven by the same core values – honesty, hard work, and perseverance – that were instilled in him as an outstanding member of his community. 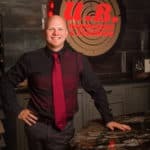 Robert’s leadership has led UB Hardwoods to receive Angie’s List Super Service awards and a nomination for the Better Business Bureaus “Torch” Award both in 2015 and 2016. Robert believes that focusing on his team members will grow not only the team, but also the company; this is proven with the 30 percent increase in business every year. Robert and his wife, Sarah, raise three children and enjoy being involved in church and their community. Robert has a relationship with Teen Challenge and Feed My Starving Children, to which he frequently donates flooring products and services to help with their fundraising events. 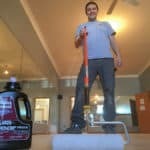 In 2012, Ben refinished his first hardwood floor and in 2014, Brilliance Flooring was born with Home Depot rental equipment and a $500 trailer. Since then, the company has grown into one of Nashville’s highest-rated flooring companies with multiple crews, top-of-the-line equipment, and will be expanding into nearby cities in 2017 and 2018. He thoroughly loves his customers and his crew, and the business is dramatically growing because of it. Brilliance Flooring has achieved many accomplishments during the past two-and-a-half years with refinishing for HGTV’s “Property Brothers,” the historic Johnny Cash Museum in downtown Nashville, and being rated No. 1 on Google, Facebook, and Home Advisor for overall reviews. Brilliance Flooring exists to change the lives of the employees that work for them, their families, its customers, and the surrounding community. 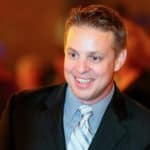 With more than 14 years of experience in multiple channels of the hardwood flooring industry ranging from contracting, distribution, and manufacturing, Josh has balanced a great work experience history with a solid educational background that has allowed for a strategic and natural approach to business applications within various roles of the industry. 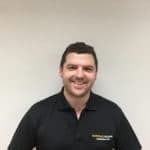 The most rewarding aspect for Josh is developing long-term relationships with contractors, distributors, manufacturers and other industry colleagues, allowing for further enhancement of each respective business. 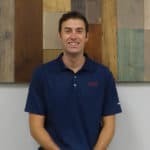 This industry has been incredibly satisfying to build a career in for Josh and he looks forward to the evolution of the hardwood flooring industry in the future. 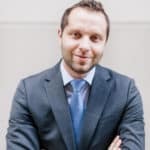 He is currently the Marketing Manager for Pallmann and recently completed a two-month exchange program working at Pallmann GmbH in Wurzburg, Germany. Josh is also active on the NWFA Expo committee and the Emerging Leaders Council. 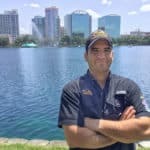 Arturo has been in the wood flooring industry for the last five years; he has created Woodruff Designing and Remodeling LLC from the ground up. An immigrant from Venezuela, he learned of this craft when he first came to the United States, working as a laborer installing floors and learning before stepping out on his own. He would often work long hours for free just to learn better techniques on how to install flooring from other flooring industry professionals. The very first hardwood flooring job he did on his own, he could not yet afford the tools he wanted and needed to complete the job most effectively. However, he persevered and installed 1,200 square feet of hardwood flooring with just a simple jig saw, tap blocks, and rubber mallet. That customer was so impressed by his work ethic, they referred Arturo to their friends and neighbors, which launched him into the wood flooring world. He has since built his business to span across many cities. Arturo is proud to teach other installers looking to learn the trade of flooring. It is his passion to pass along his knowledge to eager-to-learn students. Kevin was introduced to hardwood flooring in seventh grade when his dad installed their own hardwood floor with the help of his grandpa and brother. He has always wanted to work with wood and managed to get a start at it in 2004 working for a local builder. Near the end of 2004, he became a flooring subcontractor under the name Owen Flooring. During his installation years, he was able to travel and install across Canada. Kevin now owns a retail location with 15 full-time employees, seven vehicles and hires subcontractors as well. In 2012, he also joined the Chatham-Kent Home Builders Association, in 2013, he was voted to the Board of Directors, and in 2015, he became an employee of CKHBA with the title Executive Officer. He is also a Member of Windsor Essex Home Builders Association, sits on the Board of Directors, and acts as Second Vice President. He was also recently the title sponsor of an event called “Say Yes to the Dress Again” that raised $5,000 for Hospice, and a sponsor for Eye for Art. Earlier this year, he installed a wheelchair-accessible shower and all new flooring in a home for a 9-year-old girl who needed the services he provided to live at home with her new disabilities. 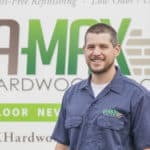 Tim began his career in hardwood flooring at the age of 16 working for a small company during summer months. After turning 18, he moved on to another company located on the west-side of Cleveland. When he started there, the company consisted of the employer, another employee and himself. When Tim had left that company six years later, it had grown to the largest hardwood flooring company in Cleveland. At one point, he and another project foreman oversaw the operations of 18 employees. One year later, Tim decided to open his own business. Within a year, he had built enough contacts and reputation to make his company his full-time source of income. TH Custom Hardwood now consists of seven full-time employees and three part-time employees. TH Custom Hardwood works for 25+ contractors in the Cleveland area, and has helped many of these contractors win NARI and CODY awards due to their hardwood flooring. They have maintained an A rating with the Better Business Bureau, Angie’s List, and Home Adviser. Keith started in the flooring business more than 20 years ago with a truck and a work ethic. 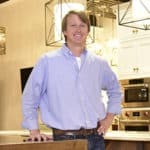 His business, in partnership with his brother, David, has grown into a multimillion-dollar-a-year company that includes the selling, staining, and sanding of wood floors – almost 10,000 square feet a week. 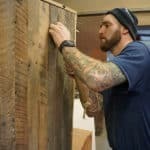 He enjoys working with the popular and very sustainable reclaimed wood from old barns, factories, warehouses, landfills, or even river bottoms to use for wood flooring. Keith is also very committed to giving back. In October 2016, the company participated in the Stop Breast Cancer for Life Campaign and contributed to the Carlton Breast Center at Phoebe Putney Memorial Hospital. In January of this year, the team helped the community by having a Pool Brothers Saturday Clean-up Day for those affected by recent tornadoes. Employees and their friends and families gathered at the showroom and dispersed into the community to help those in need. They also set up a victim relief fund called the Albany Storm Relief Fund and were able to donate approximately $3,000. 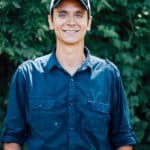 Tomasz has more than 14 years of experience in the wood flooring industry and is an NWFA Certified Wood Flooring Inspector, Installer, and Sand & Finisher; NICFI Wood Flooring Inspector; and Bona Certified Craftsman. His main goal is to support and help people with their projects. He reviews, analyzes, tests, and finds solutions in every situation. Tomasz graduated from a “self-discovery workshop” three years ago. Since then, he has committed himself to working on self-development and changing his life and the lives of people around him to create a better future for generations to come. With a group of friends, he raised more than $23,000 to support the LGBT Community in New York by renovating the LGBT shelter for young people. He also volunteers as a life and self-development support coach in CEC (Consulting and Educational Center of NY) to change people’s lives and help them achieve personal and business goals. Dustin has operated Rhodes Hardwood in Minneapolis for 10 years. His work has been featured on multiple HGTV shows, various DIY Network programs, and he has volunteered on ABC’s “Extreme Home Makeover.” He’s also done work with The Walker Art Museum, The Museum of Russian Art, Microsoft, University of Minnesota, Target Corporation, Apple, The Minnesota National Guard, The Minnesota Department of Natural Resources, Whole Foods and many other schools, businesses, builders, designers, architects and homeowners in the Twin Cities Metro area. Dustin adopts a Minnesota family to provide gifts to each year around the holidays. Tom started his career as a teenager learning the ins and outs as a contractor. Having performed as a standout sales professional for Palo Duro Hardwoods, Tom was asked to take on additional leadership responsibilities, to grow prefinished wood flooring as a segment in Colorado and the surrounding Rocky Mountain region. 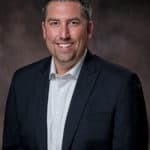 Subsequently, in 2015, he was promoted to Vice President of the company, to lead all aspects of the organization, including operations and sales. 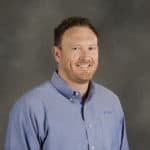 In that role, Tom has overseen the expansion of product lines, growth and training of staff, and establishing future opportunities for Palo Duro. He also has been integral in the ownership transition of Palo Duro, which was acquired by Lägler Holdings in late 2015. Tom has been involved with NWFA for several years. He regularly serves other member companies as a sales and marketing resource for their go-to-market strategies. Outside the industry, Tom serves as a founding member of his local charter school, Aspen View Academy, and also serves on the board of a national health organization, FSH Society. 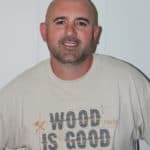 Tommy and his wife, Mandy, started Olde Wood, Ltd., at the age of 17 back in 1997 with little more than a truck and a chainsaw. 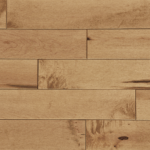 Fast-forward 20 years and Olde Wood, Ltd. is one of the largest manufacturers of reclaimed wide plank flooring. Using state-of-the-art equipment and employing more than 90 employees, they provide a green product that eliminates waste and creates a lifetime, one-of-a-kind product. Olde Wood, Ltd. has won multiple awards including Best of Houzz 2014 and 2017, Canton Regional Chamber of Commerce 2016 Business Excellence Award, and M. Conley Entrepreneur of the Year. 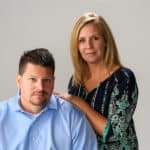 Tommy and Mandy have touched the lives of thousands by giving back to the community, including close involvement with their local school sports teams, drama clubs, communications programs, and sharing their entrepreneurial experiences with high school business classes. They also are very involved with their county 4-H program. They contribute to the United Way of Stark County and are also members of the Faith Family Church in North Canton, Ohio. The Sancic farm is open for school field trips, as they love sharing their passion for animals and the joy they bring to people. Tommy and Mandy have donated funds to help outfit their local police force with body cameras and even donated a floor to a local historical school house to preserve its history. Brandon is a hardwood flooring professional with more than 10 years of experience in the field. Prior to moving Cleveland Hardwood Restoration (CHR) to the Kamm’s Corners neighborhood of Cleveland, Ohio, he operated out of Lakewood, Ohio for five years. 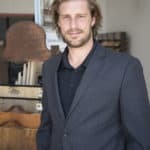 He is a passionate craftsman with interests ranging from wood species/sourcing, to hardwood flooring, to furniture making and design. He is also passionate about sustainability. Three years ago, the team at CHR decided to go completely green. As Cleveland’s first and only, truly “sustainable” hardwood flooring company, CHR values the health of their employees, clients, and the environment. Brandon is extremely active on social media. 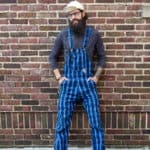 He posts unique and creative posts to Instagram and has more than 9,500 followers. Brandon has presented at the NWFA Wood Flooring Expo and is a great leader showing the art and craftsmanship that can be done through hardwood flooring. Anthony is known around Real Antique Wood as many things, including MacGyver, The Guru, the Wood Whisperer, and the “all-around-guy to get anything and everything that needs to be done, done.” He was an integral part of the team’s 2015 Wood Floor of the Year project, which required tricky problem-solving to create a black walnut live edge floor and staircase. Anthony came up with the formula for the bullnose on the staircase that made the project possible. He knows how to diagnose and fix all of the equipment at the mill, from mechanical to electrical. He’s a carpenter, welder, fabricator, designer, builder, as well as an excellent customer service provider. Anthony is highly motivated, humble, and goes above and beyond the call of duty. He is a high school graduate and attended the “College of Hard Knocks” where he earned his BA in humbleness, master’s degree in shyness, and his doctorate in coolness. Anthony volunteers his free time to dog rescue and training. 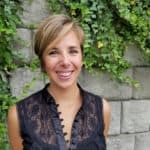 Throughout her eight years in the business, Samantha has become a catalyst, driving bamboo adoption in the retail hardwood flooring industry. This feat can be attributed to two major accomplishments: getting Cali Bamboo flooring into Lowe’s stores across the nation, and creating the gold standard for bamboo flooring installation and maintenance guidelines. Samantha started as Cali Bamboo’s receptionist in 2009 when she was 21. It was soon clear she had the drive and skills to take on greater responsibilities, and she was recruited to become (at that time) the company’s sole customer service rep. From there, Samantha helped hire and train additional support staff and contributed to developing Cali Bamboo’s installation and maintenance guidelines, consulting NWFA professionals for expert advice and using NWFA guidelines as a framework. 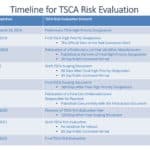 Today, Cali Bamboo’s installation guidelines have been recognized as one of the best by many industry professionals. In her free time, she has organized a build event for her team with a Habitat for Humanity construction project in San Diego, and has volunteered for the Surfrider Foundation San Diego chapter. 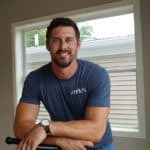 Adam started his flooring business in 2008 serving Cincinnati, Dayton, and surrounding areas. 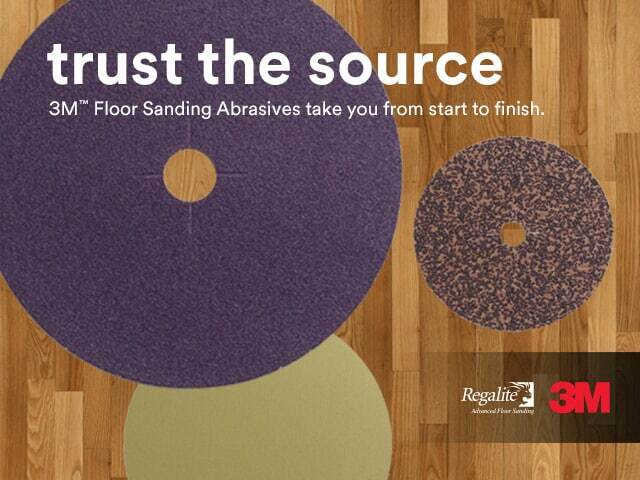 This business generated more than $7 million in revenue in nine years and sanded more than 3.3 million square feet of flooring, resulting in more than 2,400 satisfied customers. With this success, Adam opened up a new location serving Nashville, Tennessee. Adam manages both company locations while training and mentoring his young and ambitious crews. Adam’s passion and commitment to the industry are what drives his business. Adam attended the Lägler Premium Sanding School in Germany, is a Bona Certified Contractor member, and has set himself apart from the competition by being NWFA Certified in Installation and Sand & Finish. 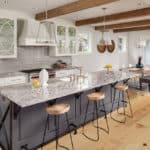 Adam’s work was chosen as the 2009 Homearama Luxury Edition People’s Choice Award winner, and the company has an A+ Better Business Bureau rating. He has participated in two Habitat for Humanity Homes, and donated a sanctuary stage for the Lebanon Presbyterian Church. Adam also is a supporter of March of Dimes and St. Jude. Adam’s Flooring has donated labor and material for four projects for needy families with children in wheelchairs in greater Cincinnati. According to his nominator, Willie has always promoted professionalism, leadership, creative thinking skills, and is a risk taker. Because of these traits and others, he opened his own flooring business in 2004. Without any motive of furthering his own agenda, Willie has always demonstrated the ability to truly listen to the needs, wants, and concerns of each of his customers. He continually takes advantage of product education and technical training; he has his NWFA Certification in Installation, as well as Sand & Finish. Because of repeat customers and word-of-mouth, he has traveled to various states to produce some of his highlight jobs. He is driven and determined to better himself, his business, and the flooring industry in his area. Willie has actively been involved in the local Little League, The Baker Civic Club, and various church functions. He has also performed pro-bono work for victims of Hurricane Katrina and the flood victims of The Great Flood of 2016, a natural disaster that occurred in his hometown. Growing up alongside his family’s business, PID Floors, Steven has always been fully immersed in the world of wood flooring. He is now the Managing Director and is passionately involved in all aspects of the business. He travels the world curating an incredible product selection, maintains partnerships with international flooring companies, manages eight showrooms nationwide, and also helps to grow a portfolio that includes a comprehensive range of projects around the globe. Since 2014, he has been working with the Hardwood Federation as a lobbyist, traveling to Washington D.C. to meet with members of Congress to discuss important issues that impact the wood industry in the United States. In 2016, inspired to create a greener and more environmentally friendly company and product inventory, he spearheaded PID Floors’ Sustainability Initiative. Steven was honored as a 2017 Young Jewish Professionals Ambassador for his commitment to the YJP mission. He, along with PID Floors, continues to make ongoing donations to important local organizations. 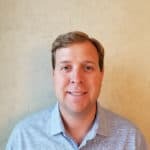 Austin serves as the Hardwood Product Director for Building Plastics Inc. During his time with the company, he has come to understand multiple aspects of the business serving in a variety of roles including Customer Service, Territory Manager, Regional Manager, and Product Manager. 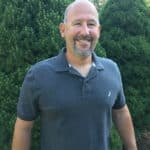 He has extensive sales experience, acting as an organizer of the Sales Boot Camp and National Sales Meeting and has received five “$2 Million in Sales” Awards and one “$3 Million in Sales” Award. In 2016, he received the HF Design Distributor of the Year and Quickstep Distributor of the Year awards. 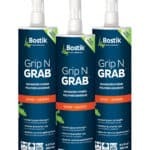 He holds multiple certifications in the Schluter, NWFA, Ardex, and Bostik installation schools. 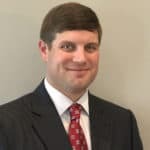 Austin is active in his community, having served as a T-Ball Coach for Olive Branch, the Delta State Desoto County Alumni Chairman, and Deacon Chairman at Christ Presbyterian Church. He has also volunteered with the BPI Toy Truck Drive, Tim Norton Memorial Golf Tournament benefiting St. Jude Children Research Hospital, and Canned Food Drive for Memphis. How do I order this particular edition? I would love to keep this UNDER 40 because my nephew, Willie Short is among those honored. I am so proud of him and would love to have this particular edition. Hi Olga, we’d be happy to send you a copy. Please send your mailing address to Stacy.Brown@nwfa.org. Thanks! Hi Peter, please send your mailing address to Stacy.Brown@nwfa.org and we’ll get one sent out to you. Thanks! I have not received my hard copy. Have they been mailed? I will email you just in case. 40 under 40 edition please. Hi Nancy, you should see it real soon. Thanks! Congrats to all this is a very nice, well done acknowledgment of 40 star players, clearly making a difference in the industry. Hi Jonathan, we’ll be doing another “40 Under 40” recognition in our Dec./Jan 2018 issue. Watch for application details mid-2018. We would like to extend our congratulations to all other 40 Under Forty recipients. All are very well deserving! We would especially like to congratulate our own, Arturo Obadia. Job well done! Great post. Thank you for sharing this amazing post.